The 11th targeted therapy for HER2 treatment was done today! I had a teaching in the morning. Then stopped by the chemotherapy unit for my treatment. The targeted therapy is not bad at all, but I am a little bit traumatized of being there. I will be happy not going back there one day. That time will come eventually, I cannot wait. For my hormone treatment is Tamoxifen. I suffer very very mild nausea that I don’t want to put turtle neck sweater on. It used to be my favorite winter style. Nurses there offered me medication as its remedy. I wish there is some more natural way to cope with the Tamoxifen. After all, I will have to take it at least next 5 years. Everyday, slight nausea and hot flashes? I really wish not. I am feeling a bit nauseous after the targeted therapy. I will have diarrhea for the next couple of days. It is not great while teaching three hour course. 2 courses for tomorrow! I will have a nice rest now. 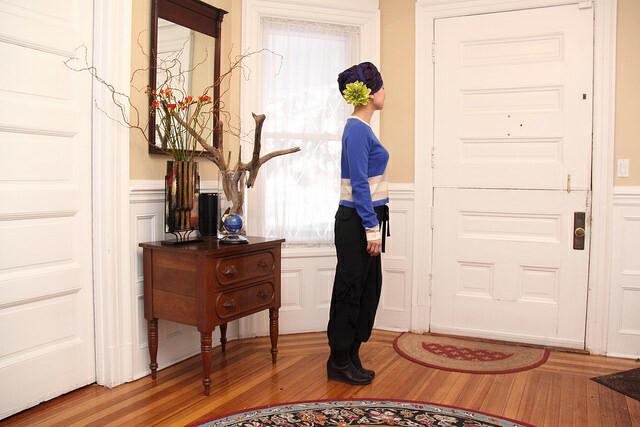 Some of breast cancer patients told me how “fashionable” it looks the way I put the turban. New York is still getting more snow today.